Owning the right domain name is a critical part of branding. Public companies like Facebook, Endurance and Twitter have all acquired better versions of their original domain name. A reverse WHOIS search will even show celebrities like Mark Cuban have invested in key domain names such as Matter.com, Practice.com and Replace.com (presumably for future projects). The acquisition of great domains is not a small business anymore. Weekly sales are in the millions of dollars. Brand purchases have their own column at DomainNameWire, and the attention from China has catapulted many domain name values to all-time highs. But what happens when you really want a domain name and don’t want to pay the price and/or can’t agree to a deal? Just ask Nissan Motor Corporation. I think it’s fair to say most American consumers automatically think Nissan Motors is located at Nissan.com. After all, Nissan has spent hundreds of millions — possibly billions — promoting the brand “Nissan” around the world. But if you think that, you would be wrong. Nissan owns the domain name NissanUSA.com. A man named Mr. Uzi Nissan, who owns a computer company called Nissan Computer, actually owns the domain name Nissan.com. For trademark experts, intellectual property attorneys, domain name owners and well… anyone who likes a David vs. Goliath story, this is one to bookmark. The story has everything you want to read. A man registered his family last name (Nissan.com) in 1994, for a company he started in 1980, when Nissan Motors was known as “DATSUN.” Years later, he is sued by the Nissan Motor Corporation, starting what would become almost two decades of legal arguments and maneuvers, even entering a request to the United States Supreme Court. The opening brief of 97 pages is worthy of a novel. And David (Mr. Nissan) is winning … so far. It doesn’t look like Nissan Motors is any closer to obtaining the domain name today than it was 20 years ago. USPTO records show the trademark application was filed on March 27, 2007, and then finally registered and live six years later, on April 23, 2013. Remember, Mr. Nissan has a computer company so we may see another chapter in this saga soon. For domain name owners, this is a case your attorney should read before responding to any purchase request from a company with a similar name. For business owners and marketing professionals, however, this is much more important. This case of Nissan (Motor Co., LTD.) vs. Nissan (Computer Corporation) is a visual example of the possible struggles from not choosing the right company name, not obtaining the right domain name, and/or not valuing the acquisition of a key domain name the same as a key piece of real estate. Weakness is only one aspect. Not having the best version of your domain name also causes brand confusion, exposes you to potentially embarrassing content (ask Jeb Bush), and very real security issues with people emailing the wrong address. Unlike global companies like Volkswagen, BMW and Fedex.com, where consumers can type in VW.com, BMW.com or Fedex.com and choose their country of choice, Nissan Motors offers a more complicated user experience where one has to visit country code sites to see local information (such as Nissan.ca or Nissan.co.uk). Nissan Motor’s Internet Strategy Manager, Merril Davis, puts it in a firm-wide memorandum distributed in 1999, ‘our current proliferation of regional websites and URL’s creates confusion for customers and fragments [the] Nissan and Infiniti brands. Furthermore the corporate website for the Nissan Motor Corporation is located at Nissan-Global.com, which doesn’t show up on the first page of Google when you search for Nissan. The company even owns NissanGlobal.com (without the hyphen) and doesn’t forward the name to Nissan-Global.com. Obviously, Goliath has some issues in understanding how domain names work. Nissan Motor Co. also operates ChooseNissan.com, NissanFinance.com, NissanNews.com, NissanOnetoOneRewards.com and likely others. We could also mention the thousands of people likely emailing someone@nissan.com by accident every month, probably even Nissan employees, but that would be too painful. 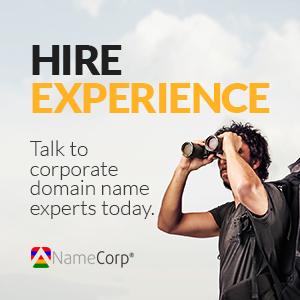 No matter how big your company is, it’s not always possible to get the domain name you want. Nissan is a victim of its own success in many ways, as well as bad timing. Choosing a short name makes branding easier, and 20 years ago the Internet wasn’t nearly as popular. For perspective, it wasn’t until another year after Mr. Nissan’s registration of Nissan.com (in 1995) that Joshua Quittner wrote the legendary “Billions Registered” article for WIRED Magazine, where he called McDonalds only to fail and find anybody interested in registering McDonalds.com — so he did. New companies can learn from this by paying attention to naming at the time of launch and making sure their domain name is available. Once you start building a brand, it may be very expensive or impossible to change course. On a positive note, Tesla Motors finally acquired Tesla.com. Awesome, I really don’t want to email someone@tesla-whatwasthisoneagain.com.